Earlier this month, we celebrated a special birthday. 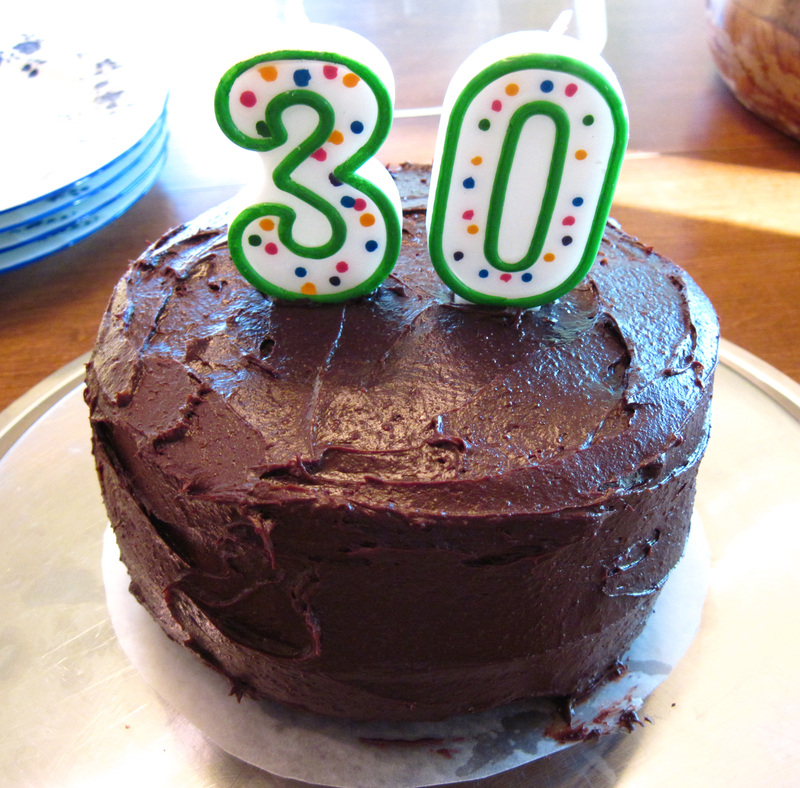 Laura turned 30! (Wait! 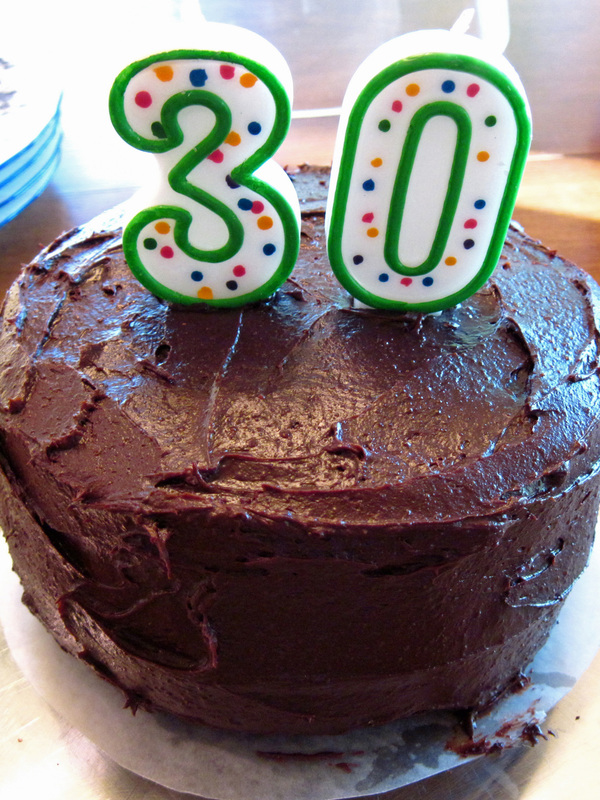 Am I old enough to have a 30-year-old?) I made a Coconut Sweetened Chocolate Cake and I baked it in two 6-inch cake pans to make a small cake for a small family dinner. The recipe for Cocoa “Crazy” Cake makes just the right amount of cake batter for two 6-inch layers. This time I tried it with coconut sugar and it worked just fine. For frosting, I used half of the recipe for Hershey’s “Perfectly Chocolate” Chocolate Frosting. I subbed coconut sugar for the powdered sugar. It made way too much frosting for my little cake, but we found that the leftover frosting was delicious served as a little dollop over ice cream. I’m really glad I invested in those 6-inch cake pans. It’s so much fun to make smaller versions of large cakes! If you like to try alternative sweeteners, I highly recommend this Coconut Sweetened Chocolate Cake. It was a big hit at our house. The cake is vegan. I used butter for the frosting, but you could swap the butter for a vegan butter substitute if you want to make the cake totally vegan. The parchment paper probably isn’t necessary in the pans, but I had some so I used it. 2. 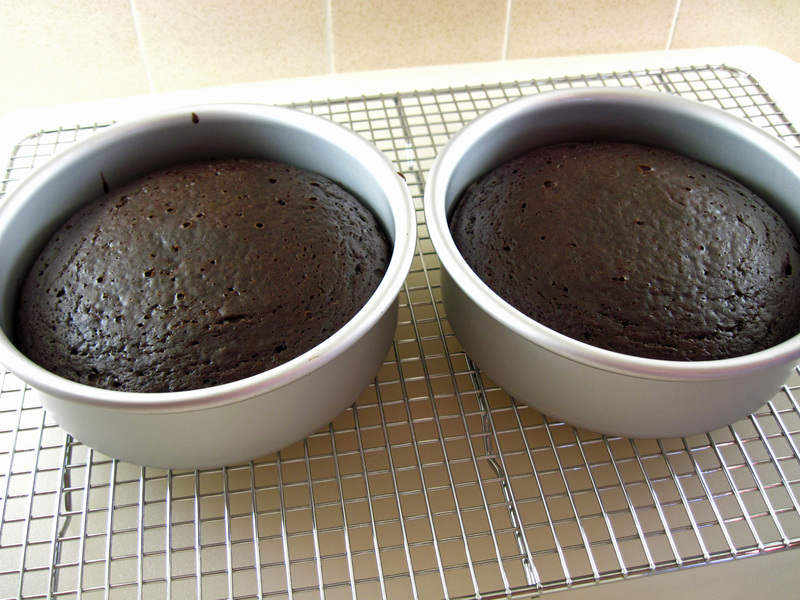 Prepare two 6-inch cake pans. Grease the bottoms and sides with coconut oil. Cut two pieces of parchment paper to fit the bottom of the pans. Put the paper in the bottom and then grease the paper. 3. 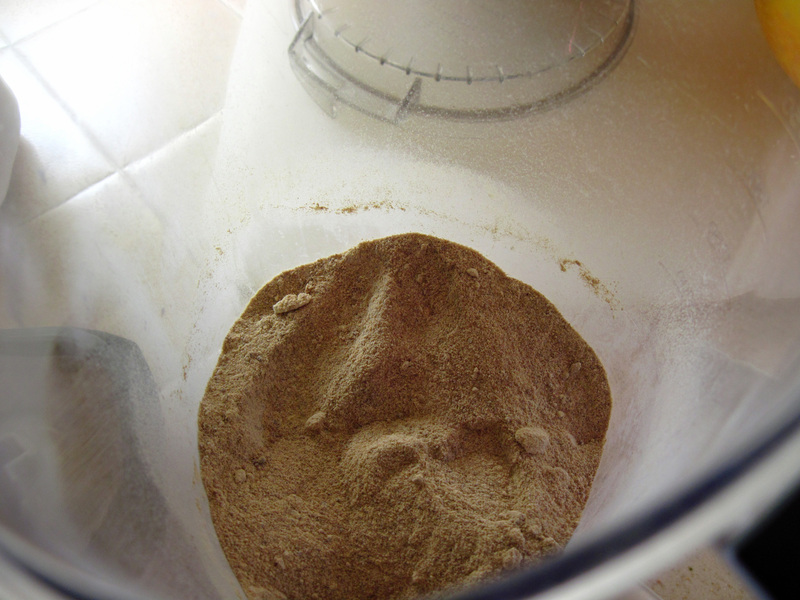 Stir the flour, baking soda, cocoa powder, and salt together in a medium bowl. 4. 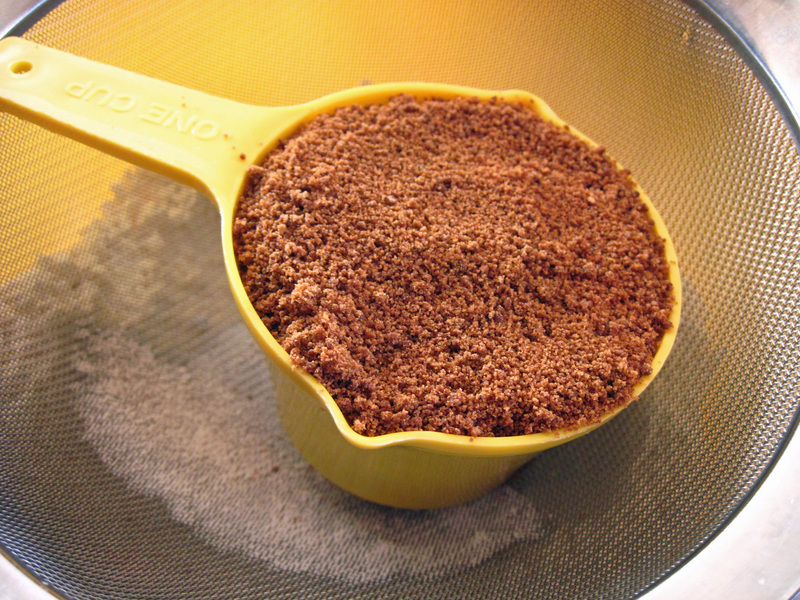 If your coconut sugar has a coarse texture, press it through a fine mesh strainer into the bowl to give it a finer texture. Stir it into the other dry ingredients. The coconut sugar I used was a bit coarse. I pressed the sugar through a fine meshed strainer with the back of a spoon. 5. Pour the liquid ingredients into a bowl and stir well with a fork or whisk until well blended. 6. 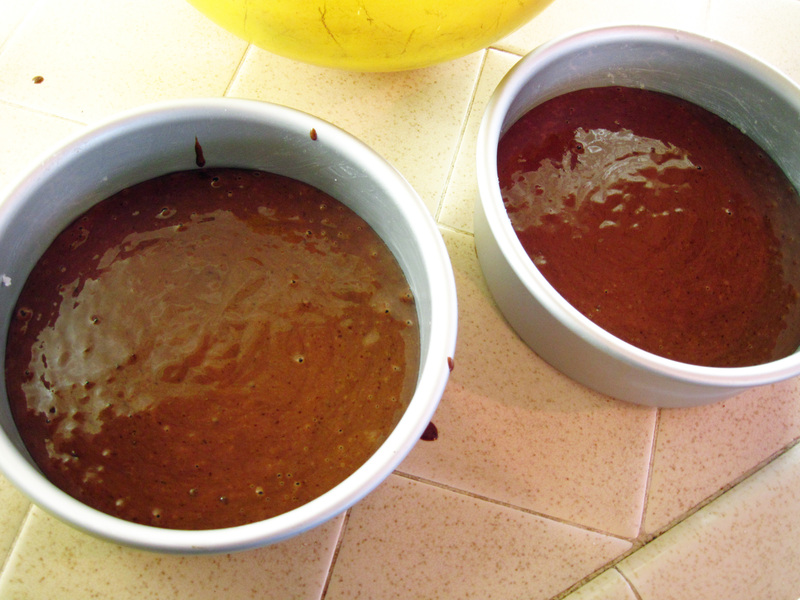 Pour the cake batter into the two prepared cake pans. 7. Bake the cake for 30 minutes, until a toothpick in the center comes out clean. 8. Cool in the pans on a cake rack for about 10 minutes. 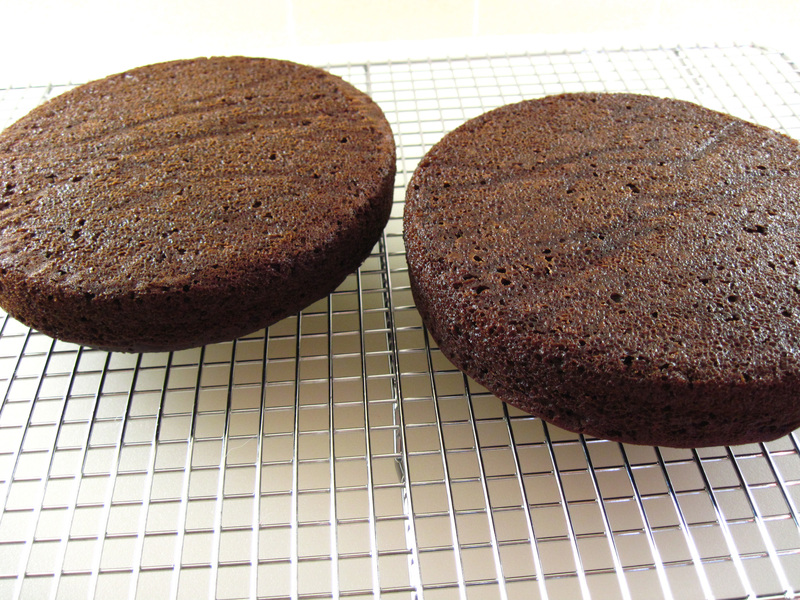 Then remove the cakes from the pans and finish cooling on wire racks. 9. When completely cool, frost with Coconut Sweetened Chocolate Frosting. 1. Melt the butter in a pan and pour it into a mixing bowl. 2. 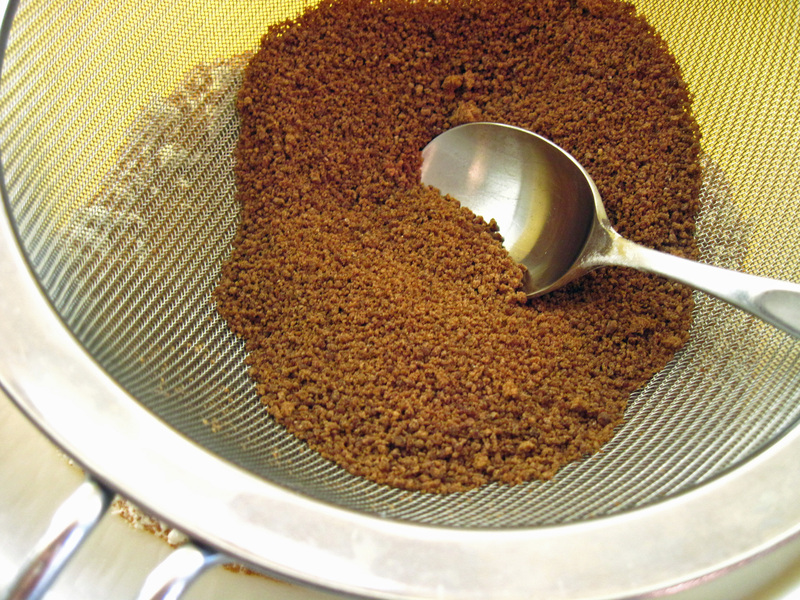 Sift the cocoa through a strainer into the bowl and mix well with the butter. 4. Alternately add the coconut sugar and the milk to the butter/cocoa mixture, mixing well after each addition. Add a bit more milk if needed. Mix in the vanilla. I was dreaming about this cake this week!